This is the left coronary artery from the aortic root on the left. Extending across the middle of the picture to the right is the anterior descending branch. 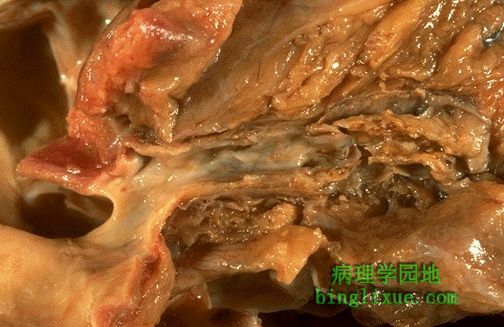 This coronary shows severe atherosclerosis with extensive calcification. At the far right, there is an area of significant narrowing.